Keyflower - the Farmers is an expansion for the game Keyflower. In Keyflower each player develops their own unique village over four seasons by successfully bidding for a range of village tiles (specialised buildings and boats), skills, resources and workers (‘keyples’). 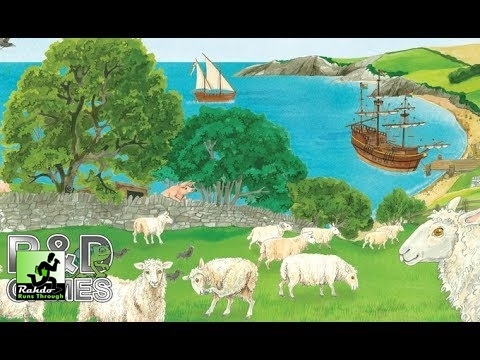 In Keyflower – the Farmers, players develop the agricultural side of their economy by acquiring new farm buildings, growing wheat and collecting and breeding farm animals (cows, pigs and sheep). Animals are kept in the fields created by the layout of the roads, adding a new dimension and considerations to the base game. Points can now be scored through the acquisition and breeding of the animals, harvesting the wheat and from the layout of the fields. Players may choose to use all of the tiles from Keyflower - the Farmers and add tiles at random from Keyflower to make up the required number of tiles or simply mix the two sets of tiles.